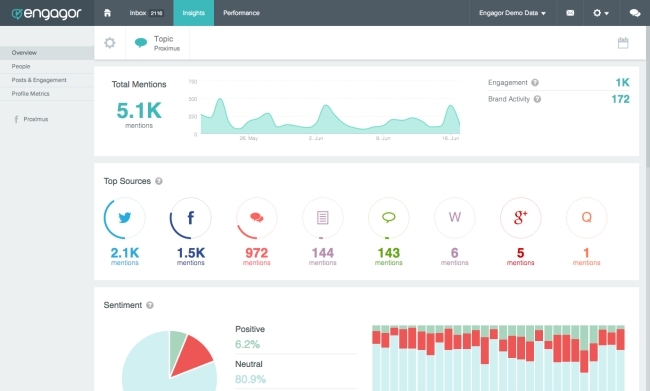 Social marketing and analytics platform Engagor unveiled a redesign last week, offering its clients deeper insights and a streamlined user interface. Gender and age demographics: Users can refine age and gender insights by social channel. Best time to post: Users can pinpoint exact timing for optimal engagement, using visual charts that display when content is being posted and when the most engagement occurs. The company also highlighted its advanced filtering capabilities and automatic sentiment analysis of content. We designed our new Insights with customer and market needs in mind. We evaluated how customers were using our previous offering, as well as commonly used KPIs (key performance indicators) and market research, to develop standardized analytics that deliver on what brands and enterprises need to engage with their audience in the best way, at the best time.